Panpyrin is Dong-A Pharmaceutical’s cold medicine. It has been a household brand for more than 40 years, as well as the nation’s No.1 household energy drink, Bacchus. Panpyrin, which was given the go-ahead in 1956, was put on the market in 1961. Panpyrin initially took the format of a tablet, but was changed to the current liquid format in 1977. Panpyrin is a leader in the Korean liquid cold medicine market. “Q” is borrowed from the word “quick,” implying it quickly cured colds. Many people unconsciously conjure up the ad phrase for Panpyrin “Be cautious about catching a cold” when the weather is getting chilly. The trend is attributable to the outcome of character marketing activities Dong-A Pharmaceutical has adopted since the late 1960s. Dong-A Pharmaceutical has used a Panpyrin character doll wearing a do-rag in TV and newspaper advertisements. Voice actor Jang You-jin’s simple and strong message “Be cautious about catching a cold” suits the doll and has been imprinted in the minds of consumers. Panpyrin is an effective cold remedy. The pharmaceutical company released the TV advertisement “Golden Time” for Panpyrin in which actress Park Bo-young appeared last year. Panpyrin Q, consisting of six components, including acetaminophen, is considered to be efficacious in treating symptoms of the early stage of catching cold, including for symptoms like a stuffy nose and coughing. 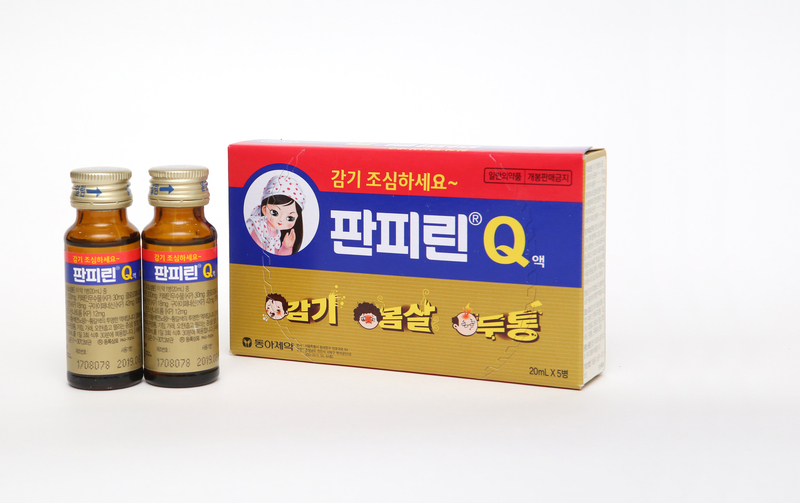 Panpyrin Q, in a liquid format, can be taken with ease, and medicinal effects take place fast. Each 20ml bottle is not burdensome for drug use. Panpyrin Q can be made available from drugstores without a prescription. Besides, Panpyrin T with three tablets can be purchased from convenience stores as the medicine is selected as one of the nation’s safe household medicines by a regime introduced in 2012. Dong-A Pharmaceutical has released a jelly containing the tastes and scents of the nation’s No. 1 household energy drink, Bacchus. “Jelly with Baccus flavor” was released on the market on Feb. 3. It is designed to enhance the familiarity, or intimacy, of the brand Baccus and contribute to customers’ health by providing it as a side dish, Dong-A Pharmaceutical officials said. 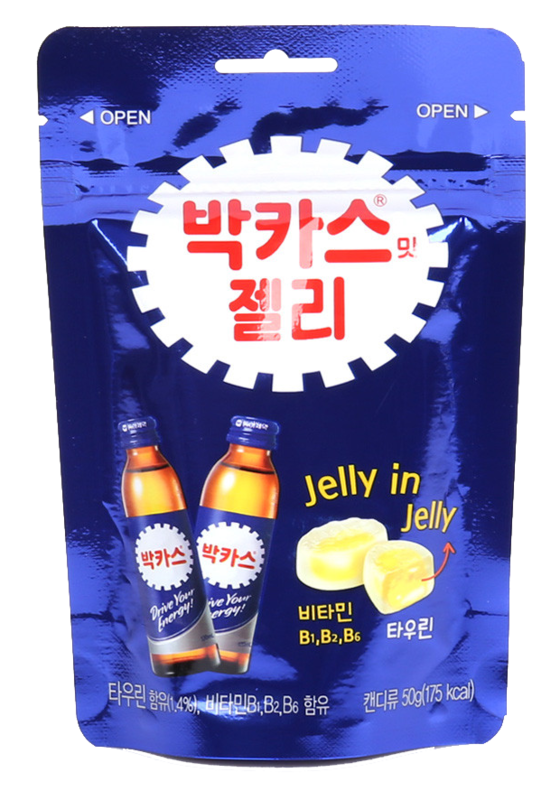 A bag of the jelly with Baccus favor contains 1,000mg of taurine, a material believed to relieve fatigue, like the energy drink Baccus F.